If what’s happening in your day keeps you awake at night, try new Blackmores Executive B Sleep Formula™ to switch off. It helps calm the mind so you can fall asleep and let’s you wake refreshed in the morning. 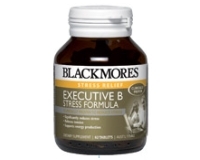 Blackmores Executive B Sleep Formula™ contains a combination of herbs used for difficulty falling asleep due to nervousness, irritability and unrest. It helps support healthy sleeping patterns, and provides relief from insomnia for those who are tired but mentally alert. Hops (Humulus lupulus): has been traditionally used for its sedative properties and is considered to be an excellent sleep inducer. Hops provides benefit to those who have difficulty falling asleep due to restlessness, stress and mild anxiety. Passion flower (Passiflora incarnata): has been traditionally used for its sedative and gentle anxiety relieving effects. Passionflower helps to relieve insomnia due to mental worry, racing thoughts or “mind chatter” by helping to calm the mind. 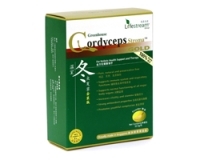 It helps during times of overwork and may help restore a normal rhythm of sleep. Lemon balm (Melissa officinalis): has been traditionally used for its sedative properties. Lemon balm helps relieve tension and irritability to help fall asleep. Adults – Take 1 tablet 30 minutes before bedtime, or as professionally prescribed. Children under 12 years – Only as professionally prescribed. Not suitable for use during pregnancy and breastfeeding. No added salt, yeast, gluten, wheat, milk derivatives, preservatives, artificial colours, flavours or sweeteners.